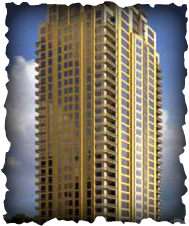 The Montebello highrise is 30 Stories, with 98 condo units and 4 Penthouses. The Montebello condominiums has only 4 residences per floor and each unit features a corner terrace with breathtaking views. | Storage and Service Elevator.